1. 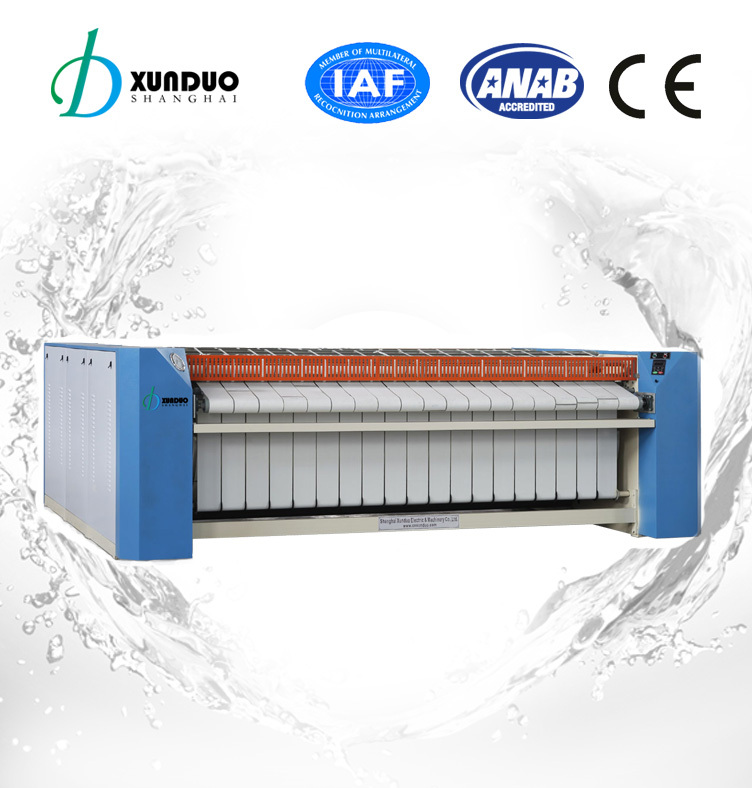 The double roller ironers offer heavy duty construction. 2. Two heating roller offering fast heat transfer for maximum drying speed. 4. 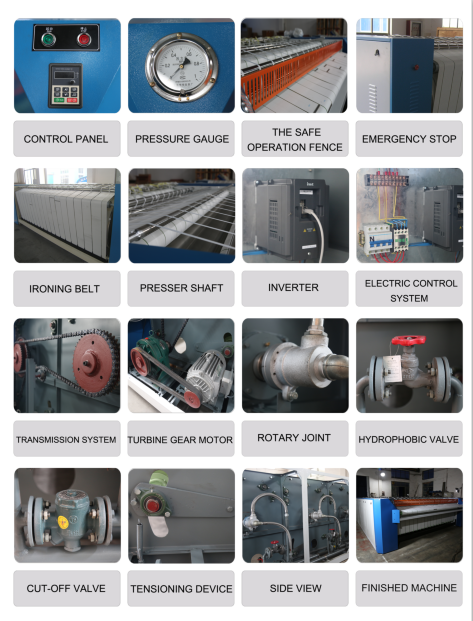 Microprocessor control Wide range selection of preset ironing programesExcellent electronic system providing the better temperature distribution and reduced energy consumption. 10. Indication of Ironing speed and temperature. 12. Enclosed electrical control box. 13.It's widely used in hospital, restaurant,school amd hotel laundry.